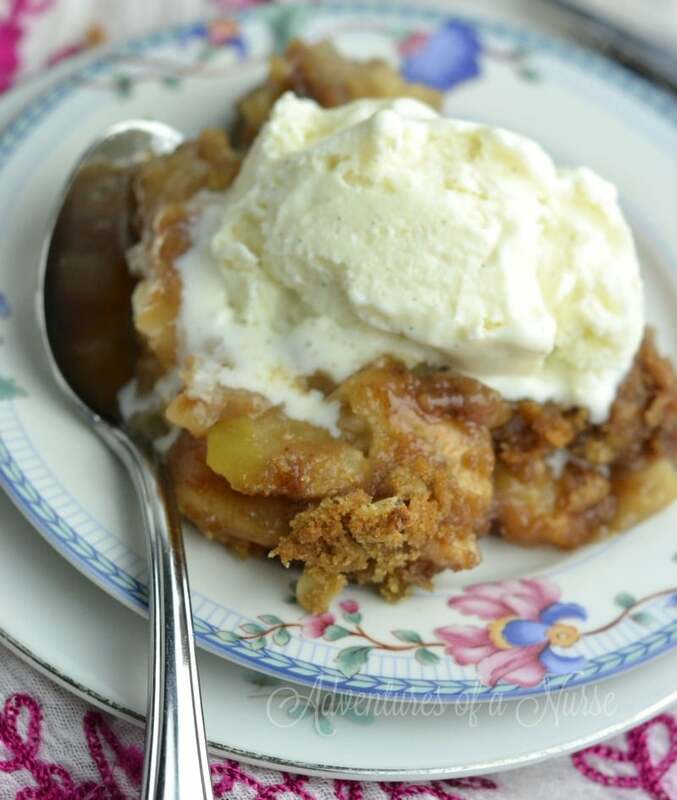 Skillet Apple Crisp is one of our family’s favorite desserts. I love the scent of baking apples. Served with vanilla ice cream this dessert will satisfy any sweet tooth. It actually snowed here last night. My husband and I are refusing to turn the heat on this soon in the year. Living in Central NY is always an adventure. This time of the year you don’t know if it is going to be 30 or 70 degrees. I decided to fire up the oven and bake all day today. I had some great apples from North Star so I decided on a nice skillet apple crisp. 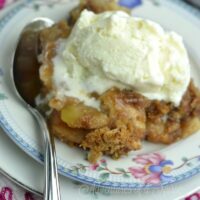 This is a fairly easy apple crisp. Directions: Preheat oven to 400. Place your apples in a bowl with sugar and apple pie spice coat apples with mixture. Place apples in your iron skillet or baking pan. In a separate bowl stir together brown sugar flour and oats. Stir in butter and continue to stir until you get a lot of crumbles. Spread over the top of your apple mixture. Bake for 1 hour or until the top is golden brown and your apples are tender. Serve warm with vanilla ice cream. Enjoy.